How to clean safety boots? Safety boots protect the feet of those who work on construction sites or in other work locations where the feet need to be protected. 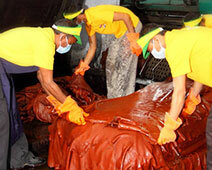 Though they are durable by nature, they need proper care to last really long and look good all the time. Ill-maintained shoes or shoes that do not fit well can cause pain and discomfort, and may also not provide the desired protection from the elements. Begin with leather cleaner. Pour some of it on a clean, soft cloth. Gently rub this cleaner into the surface of the leather footwear to get dirt and stains off the shoes. Now wipe the safety boots with a clean & dry cloth or towel. Then leave them till they dry. 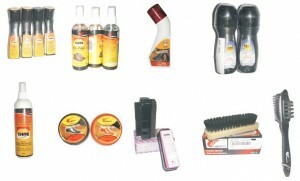 Mink oil is an excellent product to maintain the leather surface. It’s a petroleum jelly-like paste and absorbs into leather. Use cloth to remove the excess oil left on the surface. Last, but certainly not the least, try a weather-resistant spray on your safety shoes. Weather resistant sprays help remove the stains on the shoes caused by rain, contact with water on the surface, or some other sources that can cause moisture. Since some safety shoes and work boots entail big price tags, they need to be protected well so the wearer does not have to replace them every now and then. Whether the wearer has a lot to spend on the shoes maintenance or has very little, safety boots require maintenance to look good and protect the feet. And almost all the products which are needed to take care of safety footwear are easily available on the shops or shoe repair shops. Liberty offers all types of Shoe Polish (liquid, spray or wax) & Shoe Brushes vide it's Accessory Segment to safeguard & enhance the look & life of Safety Shoes. Some items are listed below. There is more to safety shoe care; we’ll cover all that up in our coming posts. 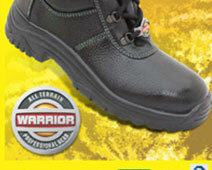 In the meantime, why don’t you browse our latest collection of safety shoes and work boots? Believe us, you’d love the shoes.